It's Colorforms play with a soft touch. 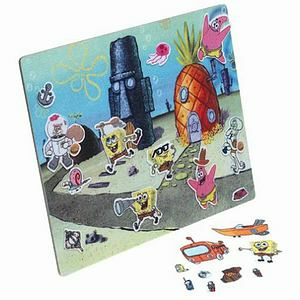 Come play with SpongeBob, Patrick and the rest of the characters on your Colorfelts play board. Includes 31 Colorfelt pieces that stick like magic.